(i) Graduate in Science with Physics as one of the subject or Engineering Graduate in Electronics, Communication Engineering (ECE) / Electronics / Electrical Engineering (EEE) / Computer Engineering / Electronics Engineering / Telecommunication Engineering / Information Technology from a recognized University / Institute. (ii) 12th Std. passed in Science [Senior Secondary School Examination from a recognized Board/ University). (with) Bachelor of Computer Application, Diploma in Electronics 8n Communication Engineering (ECE) / Electronics / Electrical Engineering (EEE) / Computer Engineering/ Electronics Engineering/ Telecommunication Engineering/ Information Technology from a recognized University / Institute. Having passed Grade-II proficiency test of Radio Operator conducted/ approved by DCPW with 3 years practical experience from Govt. Dept. / Armed forces or any other commercial communication Organization (Recognized). (i) Graduate in Science with Physics as one of the subject or Engineering Graduate in Electronics, Communication Engineering (ECE) / Electronics, Electrical Engineering (EEE) / Computer Engineering / Electronics Engineering / Telecommunication Engineering / Information Technology from a recognized University / Institute. ii) 12th Std. passed in Science (Senior Secondary School Examination from a recognized Board / University) (with) Bachelor of Computer Application, Diploma in Electronics, Communication Engineering (ECE)/ Electronics, Electrical Engineering (EEE)/Computer Engineering/ Electronics Engineering/ Telecommunication Engineering/ Information Technology from a recognized University / Institute. (i) Engineering Graduate in Electronics, Communication Engineering (ECE)/ Electronics 8:. Electrical Engineering (EEE)/ Electronics & Telecommunication Engineering from a recognized University/ Institute. (ii) 12th Std. passed in Science (Senior Secondary School Examination from a recognized Board / University) (with) Diploma in Electronics 8:, Communication Engineering (ECE)/ Electronics, Electrical Engineering [EEE)/ Electronics Engineering/ Telecommunication Engineering/ Radio Technology Engineering from a recognized University / Institute. (iii)Having passed Grade—II proﬁciency test of Radio Technician conducted / approved by DCPW with 3 years practical experience from Govt. Dept. / Armed forces or any other commercial communication Organization (Recognized). Paper — A: In this paper, a candidate’s understanding of the English language, correct usage as Well as writing ability would be tested. Questions on grammar, short easy, letter-writing, precis, paragraph and report writing translation etc., would be covered. Paper — B: In this paper, a candidate’s understanding of the Hindi language, correct usage as well as writing ability would be tested. Questions on grammar, short easy, letter-writing, precis, paragraph and report writing translation etc., would be covered. Paper — C: Questions in this paper will include general awareness as Well as general intelligence and reasoning ability. Questions will be aimed at testing the candidate’s general awareness of the environment around him and its application to society. Questions will also be designed to test knowledge of current events and such matters of every day observation and experience as may be expected of any educated persons. The test will also include questions relating to India and its neighbouring countries pertaining to history, culture geography, economics, general polity, scientiﬁc research etc. This paper will include questions on simple mathematics including those relating to the number system, decimals, fractions and relationship between numbers, fundamental arithmetical operations, percentage, ratio and proportion, averages, interest, proﬁt and loss, discount, use of table and graphs, menstruation, time and distance, ratio and time etc. There will be questions of reasoning which will include questions on analogies,similarities and differences, spatial visualization, spatial orientation, problem-solving, analysis, judgement, decision making and visual memory. Paper — D: Questions in this paper will be aimed at testing the candidate’s knowledge in science on physics and chemistry. In this paper, questions on physics will be on measurement, laws of motion, Work, energy and power, rotational motion, gravitation, heat and thermodynamics, electrostatics, current electricity, ray optics, radio activity and questions on chemistry will be on chemical calculations, chemical reactions, acids, bases and salts, atomic structure, periodic classiﬁcation, solid state, gases state, chemical bonding thermodynamics, basics concepts of organic chemistry, hydrocarbons, aromatic hydrocarbons. Paper I: In this paper, a candidate’s general knowledge on current affairs, important happenings around him / her in the country / abroad, Indian history, polity, geography, scientiﬁc research and reasoning etc. will be tested. Paper II: In this paper, a candidate’s understanding of English language, its correct usage and Questions on grammar, usage, comprehension and any other topic would be tested to check the eligibility. Paper III: In this paper, a candidate’s knowledge, on simple mathematics, physics, electronics, computers and other science subjects etc will be tested, with questions mainly of high school standard. Paper I: In this paper, a candidate’s knowledge in Basic Electronics, Digital Electronics, Power Electronics, Communication Systems, Radio waves, Antenna, basic computer, A.C theory and Microwave Engineering etc. will be tested. Paper II: In this paper, a candidate’s understanding of English language, its correct usage and Questions on grammar, simple mathematics, reasoning, general knowledge, Hindi languages etc. will be tested. Only those candidates who obtain aggregate of 40% or more marks will be considered qualiﬁed in the written test. The final list of the selected candidates, in order of merit, will be prepared by adding the aggregate scores obtained by candidates in the written test. The list of selected candidates shall be declared based on merit and number of vacancies notiﬁed /existing. The ﬁnal allocation for the said vacancies of Sub-Inspector (Station Ofﬁcer) / Radio Operator(ASI) / Cipher operator/ Radio Technician would be on the basis of merit list, technical educational qualiﬁcations and priorities indicated by the candidates in the online application form for Sub-Inspector (Station Officer)/Radio operator(ASI) / Cipher Operator / Radio Technician. The applicants who are preparing for the Sub-Inspector (Station Officer) / Radio Operator(ASI) / Cipher operator/ Radio Technician in Andaman & Nicobar Police Fire Service and Police Radio Organization can check the important materials into this blog. You can refer Andaman & Nicobar Police Fire Service and Police Radio Organization Sub-Inspector (Station Officer) / Radio Operator(ASI) / Cipher operator/ Radio Technician exam syllabus and test pattern to your friends. The test pattern and syllabus varies from post to post. So follow Andaman & Nicobar Police Fire Service and Police Radio Organization Sub-Inspector (Station Officer) / Radio Operator(ASI) / Cipher operator/ Radio Technician post syllabus first. You can download previous paper form our blog and website free. We are providing some downloading links for Andaman & Nicobar Police Fire Service and Police Radio Organization Sub-Inspector (Station Officer) / Radio Operator(ASI) / Cipher operator/ Radio Technician model papers, old question paper and sample preparation question answer. All question papers are solved with answer. Why previous year question papers are important for preparation? Old and previous year question will help aspirants to give an idea about the examination and question pattern. From previous question examinee can get marks distribution as per syllabus. As all previous year question papers are solved examinee can check the answers after solved. 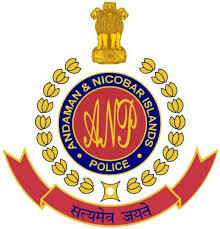 Andaman & Nicobar Police Fire Service and Police Radio Organization company Sub-Inspector (Station Officer) / Radio Operator(ASI) / Cipher operator/ Radio Technician post written test examination coming soon. Aspirants need to prepare well for this examination. For preparation candidates need model questions for preparation. We prepare Sub-Inspector (Station Officer) / Radio Operator(ASI) / Cipher operator/ Radio Technician model question paper for candidates preparation. Download all the model question set to practice and preparation. Download PDF model paper free. All sample question papers are prepared under experts and specialist. Sample questions are as per syllabus described in the advertisement. You can download PDF sample question paper. All sample questions are solved and with answers. You can check correct answers after practice. Sub-Inspector (Station Officer) / Radio Operator(ASI) / Cipher operator/ Radio Technician sample paper will help you for your preparation before examination. Refer you friends for Sub-Inspector (Station Officer) / Radio Operator(ASI) / Cipher operator/ Radio Technician sample question set.